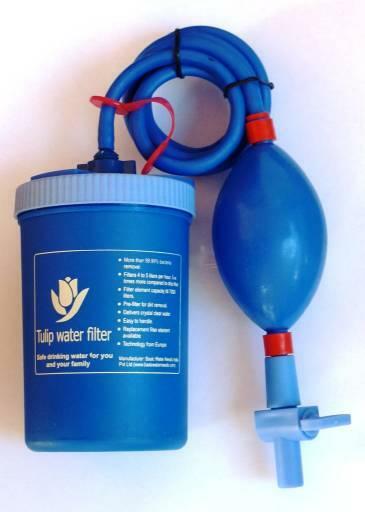 The Tulip water filter is a candle-type water filter which uses gravity siphon pressure to force water through a high-quality ceramic filter element. 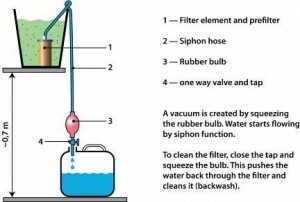 The innovative usage of the siphon results in a high flow rate of 4-5 liters per hour. 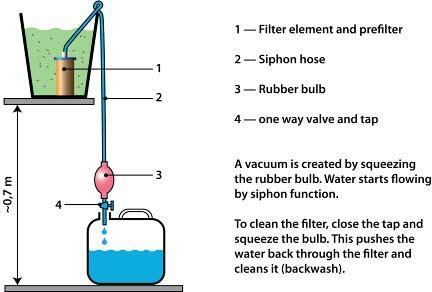 The Siphon filter is very compact, as only a filter element, a plastic hose, and a valve are needed, while existing storage containers can be used. 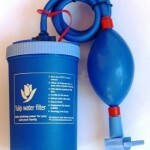 The filter is designed as a point-of-use filter in households. The filter element is impregnated with silver in order to increase the bacterial removal efficiency of the filter and to reduce the recontamination risk of stored filtered water.